Duration: 40 sec. per ep. 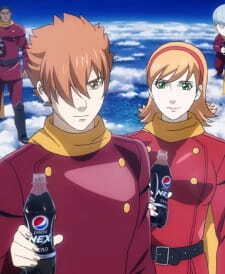 A collaboration project between 009 Re:Cyborg and Pepsi Nex, which features characters from the former fighting over the drink. The advertisements aired in stereoscopic 3D before films such as Pirates of the Caribbean: On Stranger Tides and Star Wars: Episode I - The Phantom Menace 3D.